and collaboration. Results also identify electronically mediated exchange as having a key role in the development of collaboration that is consistent with earlier findings (e.g. Kulchitsky, 1997). Furthermore, electronically mediated exchange proves to be a more salient determinant of collaboration in supply-chain relationships involving exchanges of standardized products, while trust is more of a factor in achieving collaboration in exchanges involving customized products. 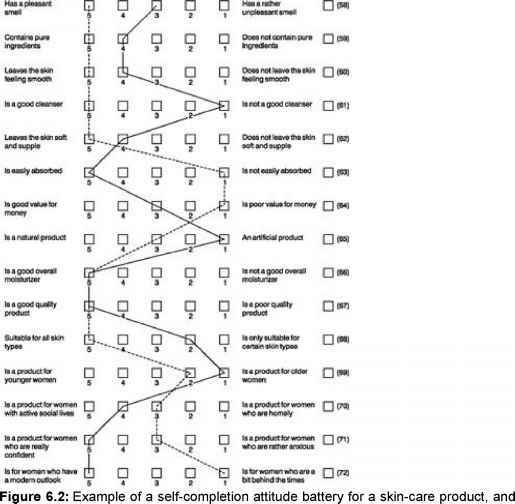 This finding is consistent with the notion that trust serves to hold in check opportunistic behavior that could easily arise with the purchase of a customized product by virtue of the unique nature of the purchase and its idiosyncratic characteristics (Macneil, 1980). It would be a stretch to present the choice between trust and electronically mediated exchange in developing collaboration as a categorical either-or proposition. Rather, both trust and electronically mediated exchange are likely to be helpful in the process of developing collaborative supply-chain partnerships. This study supports this view in that both trust and electronically mediated exchange were at least weakly significant determinants of collaboration in both contexts under consideration in this study. On one level, trust seems to establish a base-line level of collaboration that is enhanced and reinforced through the use of electronically mediated exchange. Previous research has argued that constant communication is essential to help foster and build trust (e.g. Morgan and Hunt, 1994). This is true once a relationship has been established. Non-personal interaction, such as seen in EDI, can supplement a trusting relationship and strengthen the ties between trading partners. That is, it is not sufficient to establish a trust-based foundation in a supply-chain relationship for it to reach its full collaboration potential. Rather, results indicate that firms should be encouraged to continue investing in electronic solutions to achieve collaborative supply-chain partnerships, at the same time as they build trust-based foundations on which partnerships can truly flourish. By constant interaction and information sharing via electronically mediated exchange, partners experience a closer bond and this serves to re-enforce trust that contributes to collaboration. Niklas Myhr and Robert E. Spekman electronically mediated exchange in the complete absence of trust is not likely to achieve very high levels of collaboration. If the threshold level has not been achieved, these non-personal linkages cannot replace trust since these mechanisms will not be powerful enough to achieve the requisite base-line level of collaboration. However, given the fact that the supply-chain relationships analyzed in this study had all been in existence for at least two years, these relationships are likely to have reached at least a minimum threshold of trust necessary for the effective use of electronically mediated exchange. Also, as our results indicate, such more limited collaborative efforts might very well suffice in exchanges based on more commodity-like or standardized products. This is because the need for very close and collaborative dealings is reduced when products are more widely available and the threat of opportunism is less imminent. Still, requisite levels of collaboration can be achieved through the effective use of electronically mediated exchange, a finding which is in line with long-standing beliefs that increased accessibility to information increases the use of such information (O'Reilly, 1982). Limitations of this study include the fact that we only surveyed managers on one side of the inter-organizational dyads. Even if they were instructed to offer objective assessments, these key informants may have been biased in offering their subjective views of the supply-chain relationships in question. Also, we only considered one control variable, expectation of relationship continuation, in our analyses. Potentially, there are other factors that when recognized would explain most of the variance that we now attribute to the effects of trust and electronically mediated exchange.